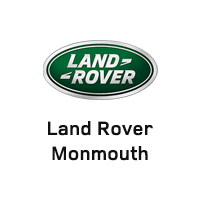 LandRover Of Monmouth/Ocean always does an excellent Job in their Service Department. Jordan Fuhri in the Service Department will always help you and works hard to satisfy all my Service needs. I never got a car from here but the people here are truly amazing! I’m 7 months pregnant and caught a flat right outside the dealership. They came outside & helped me to park my car so I’m nowhere near the highway & got there service man to get my spare tire out of my trunk and put it on for me for free! I can’t thank them enough for their kindness today! Maybe one day in the future i will def go there for a car! Thanks again! Everyone at LRM is terrific , from Robert , Justin, Fabian, to Amanda and Frank always incredibly helpful and kind. Great place to buy and service your car. Amanda was very accommodating. Everyone was courteous from the time I stepped out of my car until I left the dealership. What a place!! White glove treatment with common sense discussion. They know their products well and will work with you to ensure you get into the vehicle of choice. They do alll the paperwork ahead of time so when you come in to pick up your vehicle you dont spend hours in the show rooom!! Bravo Land Rover of Monmouth!! Everytime I have an issue or question I know I can go right to the service desk and deal with my favorite service advisor Jordan. His smiling face and hard work always make the experience great ! Always going above and beyond to make the customers happy. WAYNE GROSS provided premium level customer service to my satisfaction in reference with my recent service appointment. I was in and out faster then I expected. His generous/humble attitude and willingness to stand by customer when it comes to address customer safety while driving Rover. His prompt follow up is worth noted. He is an asset to Land Rover at Monmouth service team.